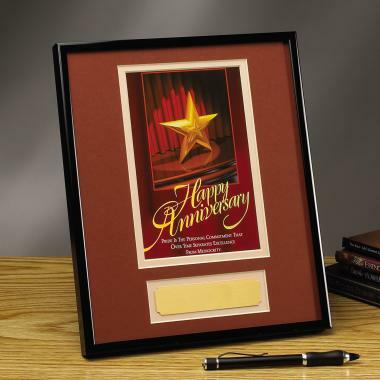 Happy Anniversary Framed Award image: A whimsical gold star takes center stage. 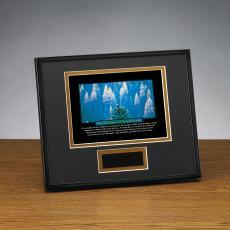 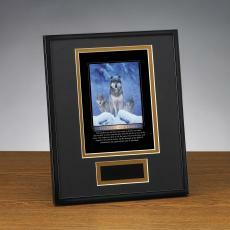 Acknowledge every accomplishment with this Happy Anniversary framed award from our special edition Personal Performance Awards. 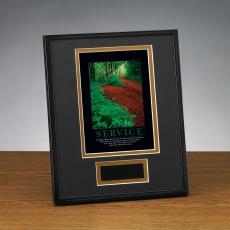 A marvelous way to acknowledge anniversaries, this attractive framed award is double matted in rich colors to complement the image. 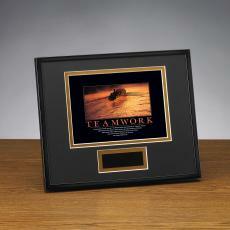 Notched brass plate for personalization. 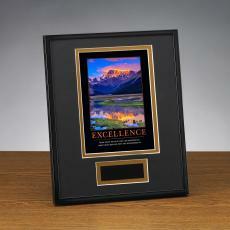 Quote: Pride is the personal commitment that over time separates excellence from mediocrity.